In this instalment, we’re discussing tempo running. To help us to do so, we’ve enlisted the help of Richard Partridge! As an athlete, Richard has a 5k PB of 13:45 and represented Great Britain in the World Cross Country Championships during the 1980s. For the past 20 years has been coaching a number of athletes, including Kevin Quinn, Mark Miles and Oliver Aitchison. Tempo is a term used to describe a certain speed of running and is sometimes described as running “comfortably hard”. What are the benefits of tempo running? When you run fast, your body uses more fuel to produce the energy needed to propel you to that parkrun PB! But by using more fuel, your muscles also produce more waste (lactate) which is why your legs can feel heavy towards the end of your fast runs or races. Running at your tempo pace for a sustained period in training, which is slightly slower than your race or parkrun pace, helps you to train your body to delay the point at which this dreaded muscle fatigue sets in. Essentially, by increasing the amount of time it takes for your muscles to begin to tire, you are better able to sustain your faster pace when it comes to race day or parkrunday. A rough guide to working out your tempo pace is to add 15-20 seconds per kilometre to your parkrun pace. 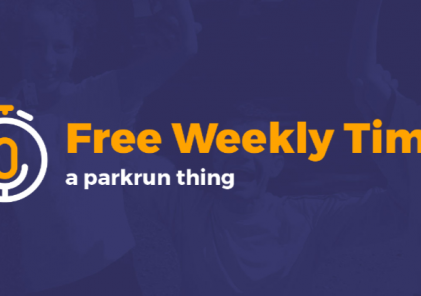 For example, if your parkrun pace is 6 minutes per km, your tempo pace would be 6:15-6:20 min/km. Tempo running should only take up a small amount of your weekly running. For example, if you run 3-5 times per week, only one of those runs should be a tempo run. First up, try shorter runs of between 10-20 minutes, running at your 10k pace (the pace you could run a 10k race at currently). Next, you build up your tempo running sessions to longer runs of between 30-40 minutes, running at your half marathon pace (the pace you could run a half marathon race at currently). The key is to build up slowly and enjoy!